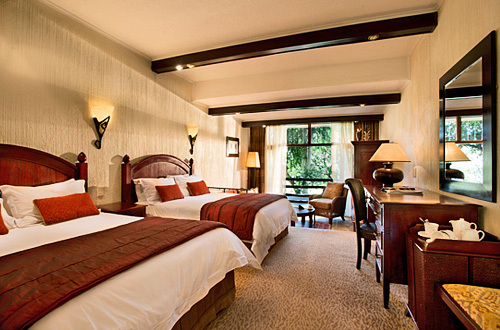 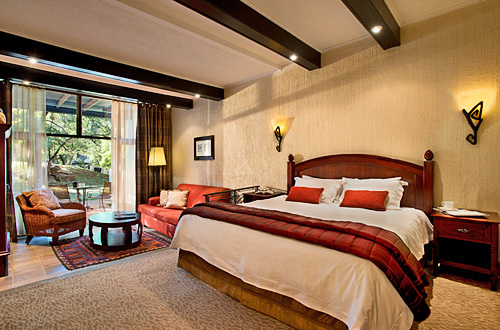 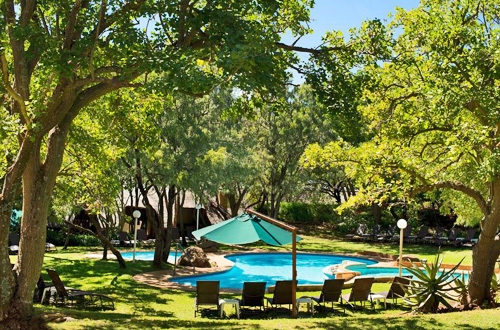 Pilanesberg National Park’s Kwa Maritane Bush Lodge offers fully catered, luxurious accommodation in an area boasting extreme natural beauty and exceptionally rich in wildlife. 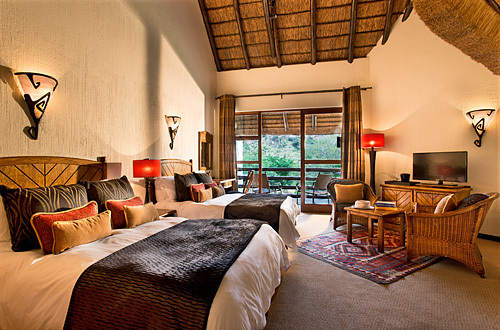 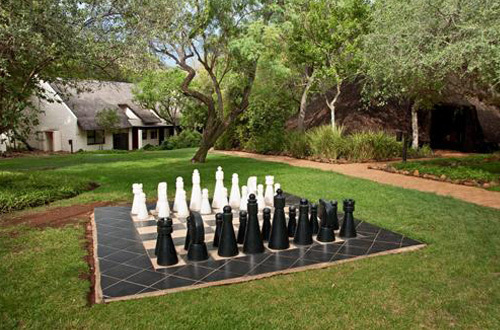 Located approximately a 2 hour drive from Johannesburg in a malaria free zone, the lodge is an ideal base from which to explore the area’s rich diversity of fauna and flora. 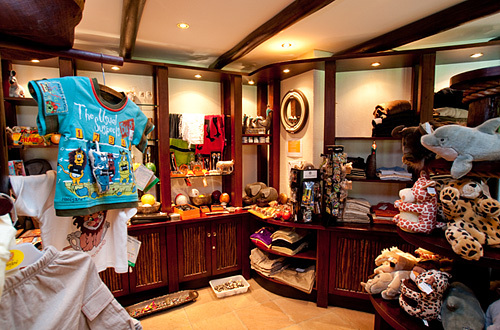 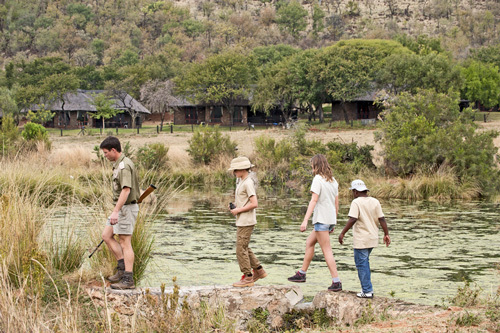 Children are welcome and well catered for with activities including Junior Rangers, children’s playgrounds and fun activities. 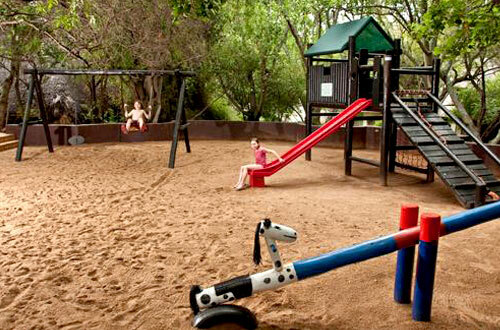 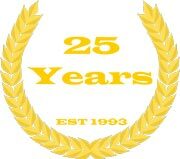 Child minding staff can be arranged. 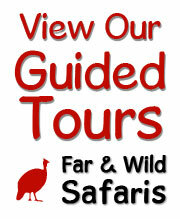 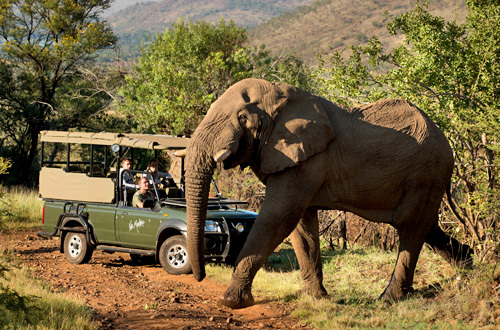 Guided Game Drives and Bush Walks are available, Bird and Tree Trails, Stargazing and a Wildlife Information Centre as well as Junior Rangers for children. 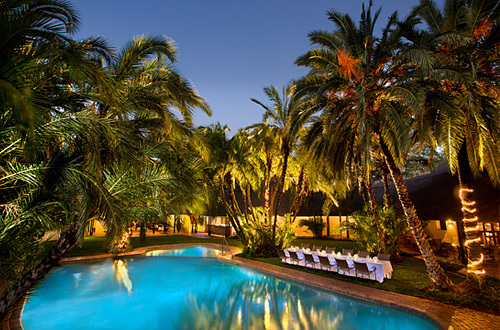 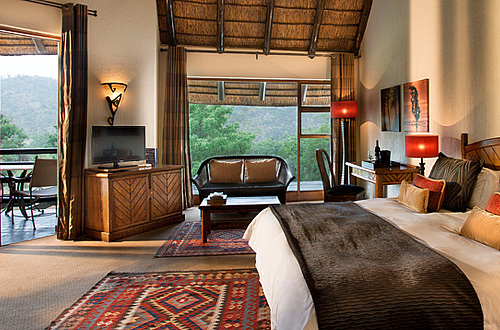 Beautifully built on the slopes of an ancient volcano Kwa Maritane, the name means ‘Place of the Rock’. 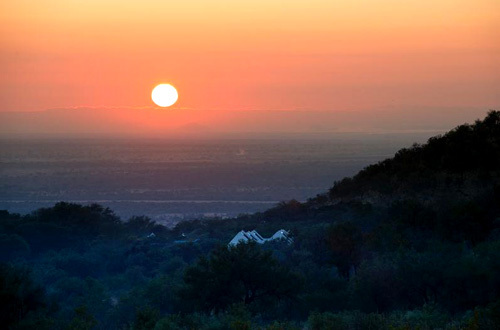 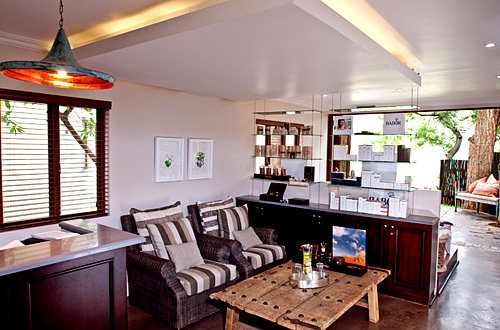 The resort is built in an ancient alkaline volcano with sweeping views over the Pilanesberg Plains which are home to over 350 different bird species and practically every known mammal species in South Africa. 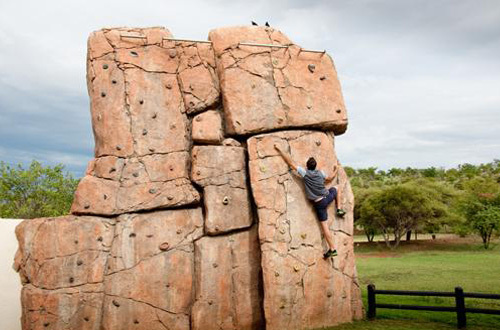 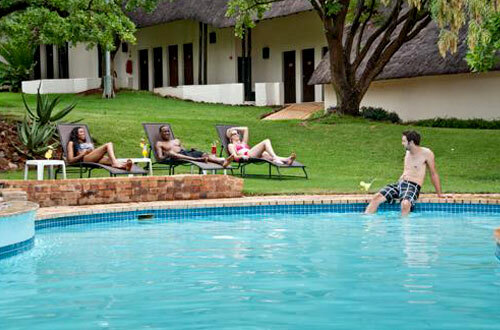 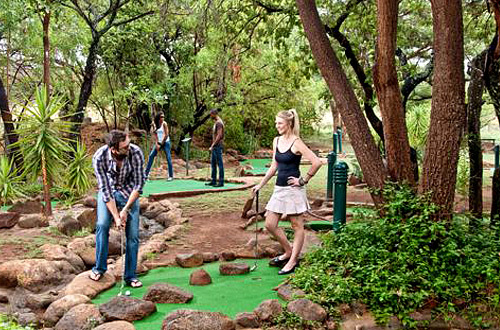 There is no shortage of ‘Things to do’ for both young and old and within Pilanesberg Nature Reserve, the Kwa Maritane Resort and the world renowned Sun City Complex which is located only about a 10 minute drive away. 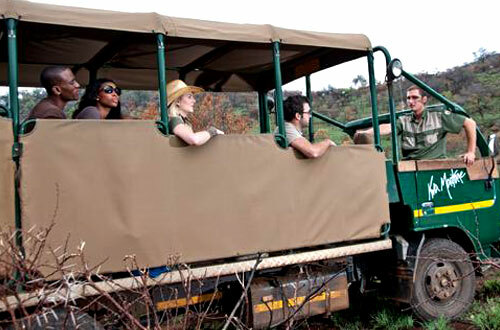 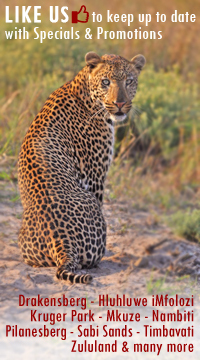 Guided Game Drives in the mornings and the afternoons offer the opportunity of viewing not only Africa’s Big 5 – lion, elephant, black and white rhino, buffalo and leopard but also cheetah, wild dog, giraffe, zebra, warthog, baboon, crocodile, hippo and a variety of antelope including kudu, impala, eland, wildebeest and steenbok – amongst others. 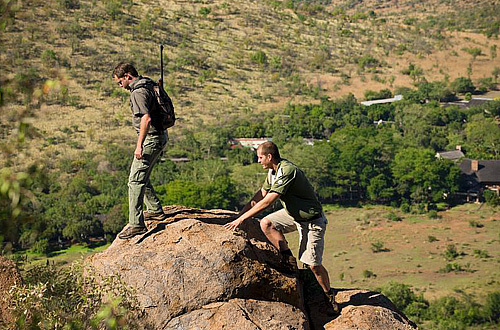 Guided walks with qualified rangers offer a different dimension to game viewing, allowing visitors the chance to see and learn about stars, insects, plants, trees, birds and other natural wonders, often missed during the vehicle drives. 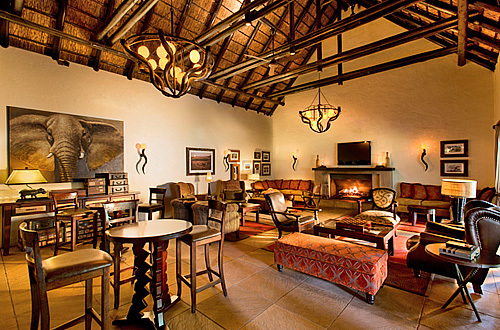 There is a hide at the lodge, accessed by a tunnel from the main lodge. 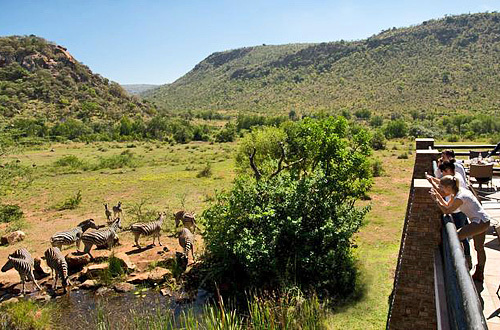 The hide looks out over a watering hole which is floodlit in the evenings – the perfect place to quietly watch a wide array of animals both during the night and the day. 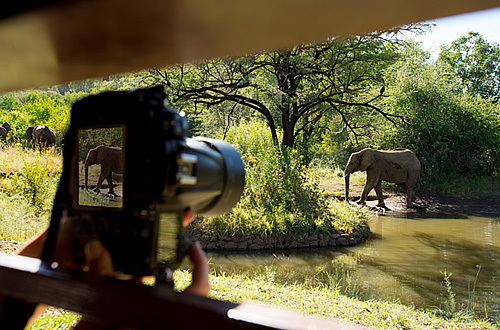 The webcam overlooking the watering hole is linked to the bedroom TV’s where guests can watch the passing wildlife from the comfort of their rooms. 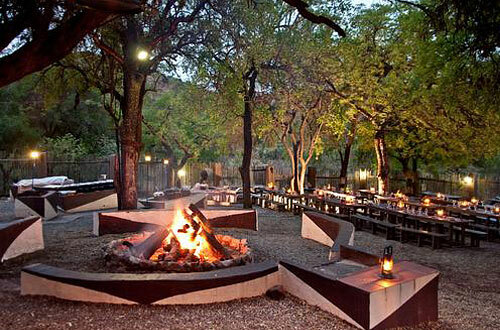 Meals at Kwa Maritane are also special. 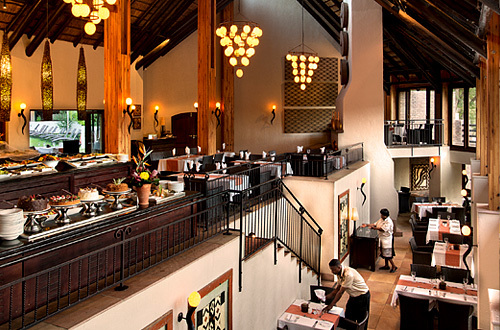 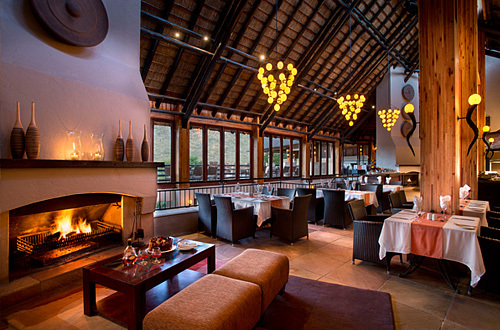 The main restaurant overlooks the waterhole and some magnificent granite formations. 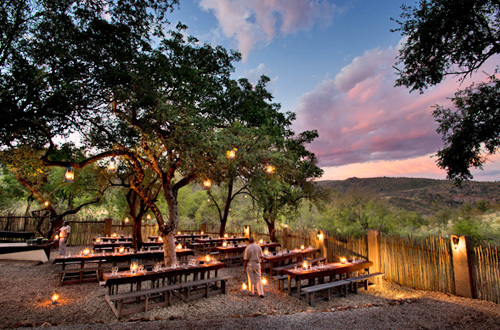 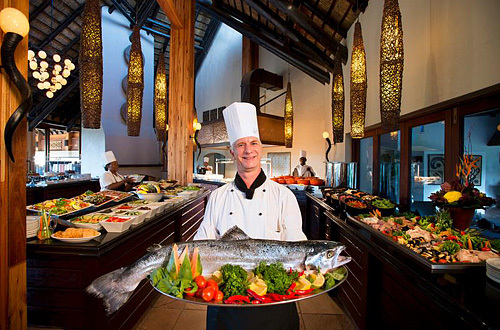 Dinners are generally served as buffets and offer guests the chance to taste traditionally South African foods. 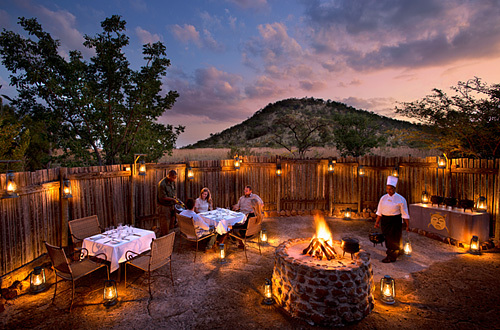 Dinners in the Boma are hosted on certain evenings where guests are served under the stars to the accompaniment of a marimba band. 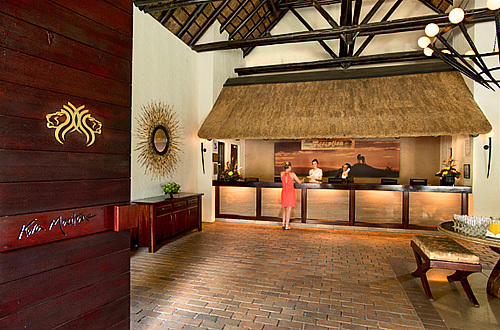 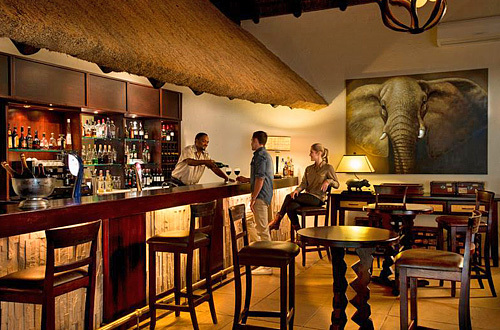 The Bar and outside deck offers the perfect venue for sipping cocktails, a cold beer or a glass of wine, while watching the game wander to and from the waterhole or alternatively watching sporting events on a Big Screen or cuddling up in front of a cozy fireplace in winter. 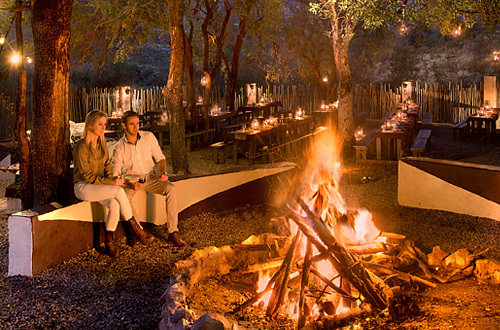 Kwa Maritane at Pilanesberg is one of those special places, which offers guests luxurious accommodation within true African wilderness.